Buckeye Bullet Team Blog: Power! Over the last several years A123 Systems has provided an amazing amount of support to the Bullet project. When the company had to declare bankruptcy last year the team feared for both the long term future of our project as well as the short term prospects of racing in the summer of 2013. 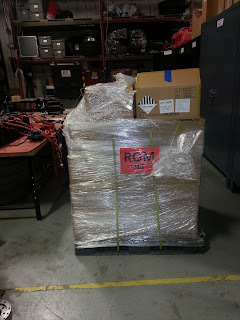 Fortunately, once all the legal deliberation was finished, the team received this shipment of battery cells. 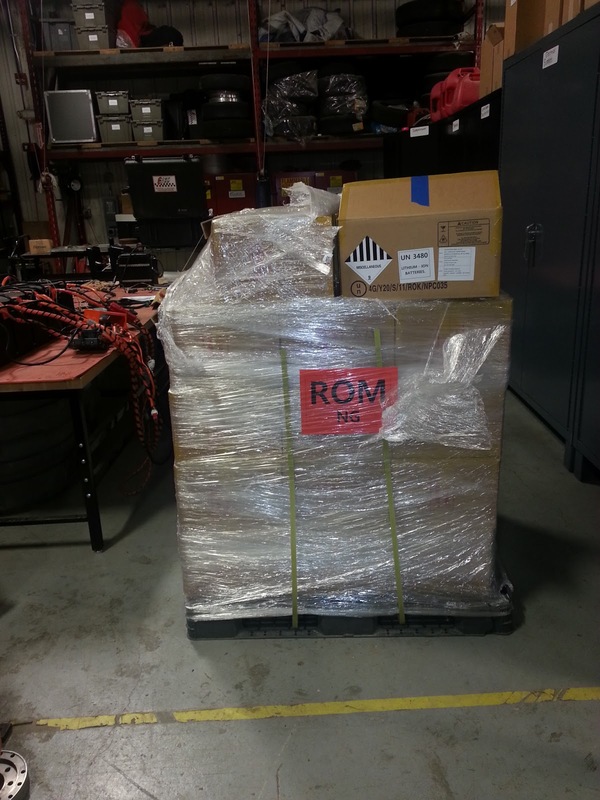 What you cant see from this picture is the two other pallets directly behind the one shown. Thats over 2,000 cells! Just enough to help power the VBB3 to record speeds. The next step is to construct modules from the cells and packs from the modules. This is scheduled to happen in the next couple months setting us up for a complete and functioning vehicle battery pack by the begging of the summer. I heard Prof. G. and your grad. leader on NPR in Omaha, NE today. Keep up the great work! I've got two young, future engineers growing up in my house--and yours is the kind of journey that will inspire and "drive" them! Thanks for the kind words. Keep in mind when your future engineers are picking the schools to train them for the real world that The Ohio State University is the home of truly one of a kind projects. From which, experiences can be gained that will never be learned in the classroom or on an internship.